CROIX-DES-BOUQUETS, Haiti (AP) — Teenagers in blue-and-white uniforms pour out of classrooms of this boarding school at the edge of Haiti's capital, chattering in their native language of Creole about the science test they have just taken. "I'm not so sure," a girl answers back in Creole with a shrug of her shoulders. "The exam was really difficult." The students don't speak much French at the school, although it remains the primary language of instruction in most Haitian classrooms. In fact, less than 10 percent of the country's 10 million people speak French fluently, and in most schools, even the teachers don't understand it very well although they're asked to teach in it. "I really have to work hard, because I don't speak French at home. My parents don't speak French at home," said 14-year-old Alexandra Julien, who attends another school, as she walked to class one recent morning. "They speak Creole." 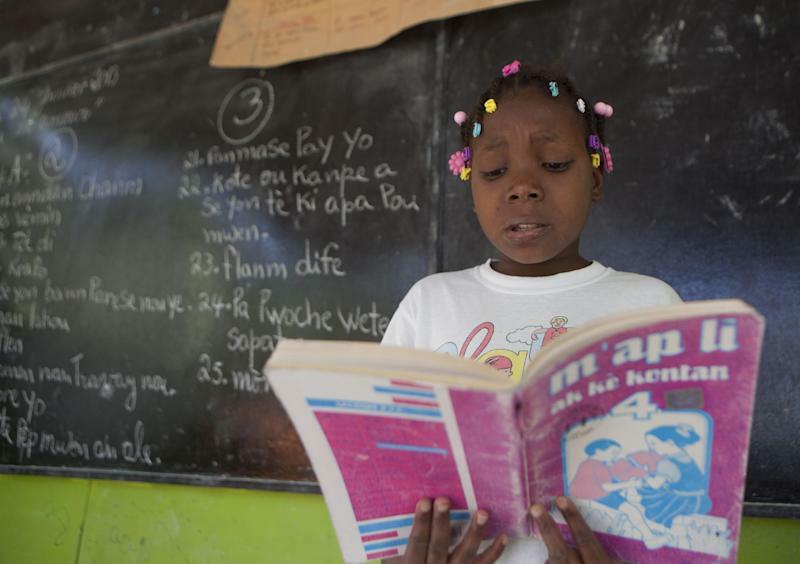 Three years after a devastating earthquake killed more than 200,000 people here, Haiti's abysmal educational system remains an obstacle to building the expertise and skills needed to help this impoverished country recover. Haiti's 1805 Constitution declared that tuition would be free and attendance compulsory for primary students. But the quality of education lagged through the years, and plunged during the 29-year-long dynasty of Francois "Papa Doc" Duvalier and his son Jean-Claude, or "Baby Doc," which ended in 1986. Haiti's professionals fled into exile to escape political repression, spawning a major brain drain the country has never bounced back from. About 30 percent of the country's youth are now illiterate, according to the U.N.'s children agency, UNICEF, and only half of all children can afford to attend primary school. Less than a quarter attend secondary school. In a 2011 report published in the journal "The Fletcher Forum of World Affairs," author Brendan McNulty wrote that 80 percent of Haiti's 16,500 or so primary schools are private, and they adhere to no academic standards. 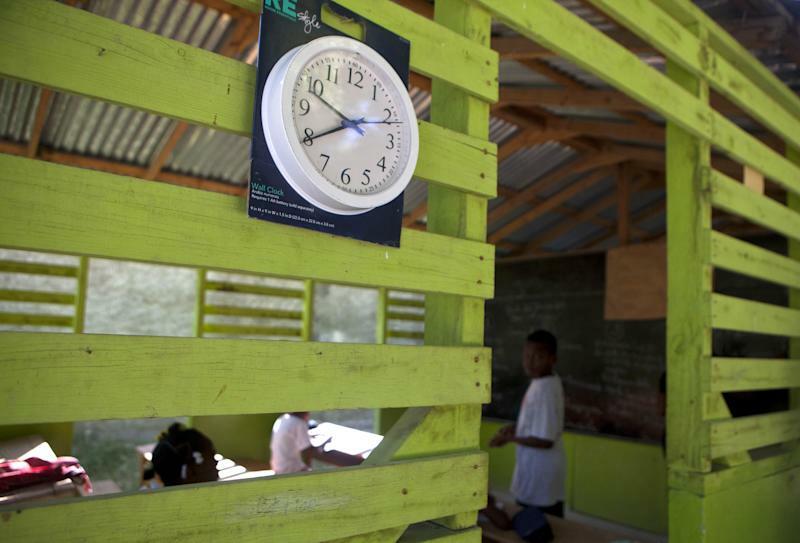 The article focused on rebuilding Haiti's education system after the quake. Like the Louverture Cleary School, more organizations inside and outside the country are saying Haiti's educational crisis can be eased by educating the nation's children primarily in Creole, which all students and teachers truly understand, and bid adieu to French as Haiti's primary teaching language. In a sign of growing interest in Creole's educational potential, the U.S. Agency for International Development last fall awarded a $12.9 million contract to the North Carolina nonprofit group, RTI International, to create a basic reading curriculum that includes the language. The humanitarian group Concern Worldwide is also developing Creole course materials and training teachers in the language. Duke University recently held a Creole linguistics workshop for U.S. and Haitian scholars in Durham, North Carolina, that treats Haiti's native tongue as a subject worth serious academic study. Haitian Creole, which grew out of a mix of 18th-century French and West African languages, is the nation's lingua franca, but it wasn't until 1961 that it joined French as one of the country's two official tongues. But French remains the language of affluence and privilege, employed in polite society and government communiques and openly spoken in the upscale supermarkets selling brie and baguettes in the mountains high above the capital's shanties. Although used by Haitians of all social strata, Creole is seen by some as the language of the impoverished masses. President Michel Martelly campaigned on promises to improve Haiti's school system, and the government says it has paid tuition at private and public schools for more than a million students though some believe the number may be lower. 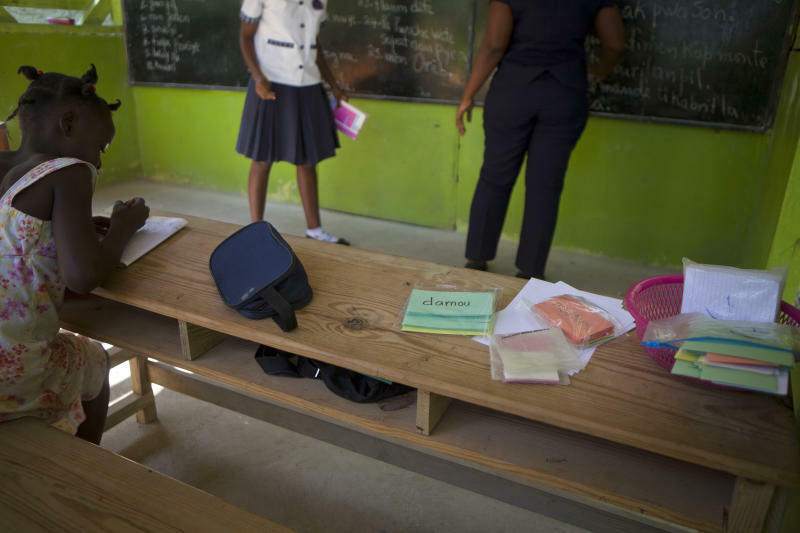 "French remains a language that is very symbolic for Haitians," said Pierre Michel Laguerre, an Education Ministry consultant who oversees the school system's curriculum. "There is a history with that language. We have many of our authors who have won prestigious literary prizes in the Francophone world. We cannot leave French behind." Creole advocates say that there's no shortage of Creole-language books and point to publishing houses such as Educa Vision, Inc. in Florida, which produce such materials. But they acknowledge that shipping the materials to Haiti is expensive and goods are often held up in customs. A challenge painted on a wall at the school appears not in the customary French but in Creole: "Nou pare poun rebate ayiti, e ou?" — "We're ready to rebuild Haiti, are you?" "If we meet a foreigner ... in order to help him we should speak English to understand what he's saying," Thomas said in English, with a heavy accent. Moynihan emphasizes that Louverture Cleary is only one possible model for the rest of Haiti's schools and that it follows Ministry of Education guidelines. Unlike most secondary schools, the children have already mastered written and spoken Creole, some of them in the school's morning day care program. "What is beautiful about language at Louverture Cleary is that we know it's a bridge," Moynihan said. "It's a bridge for communicating."